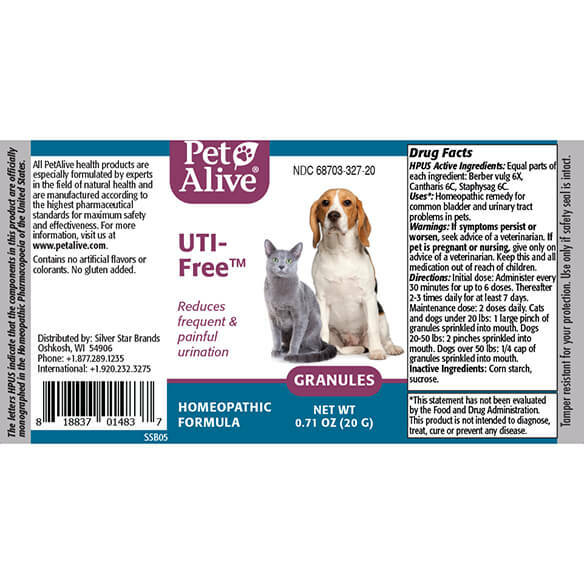 PetAlive® UTI-Free™ - .71 oz. 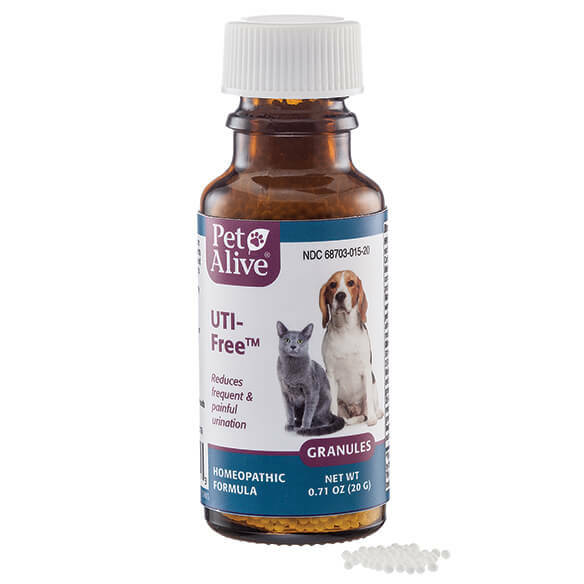 UTI-Free™ is the leading natural solution to soothe your pet's irritated bladder and urinary track. It is a safe and effective, non-addictive, natural remedy containing 100% homeopathic ingredients especially selected to temporarily relieve symptoms of bladder and urinary tract irritations. 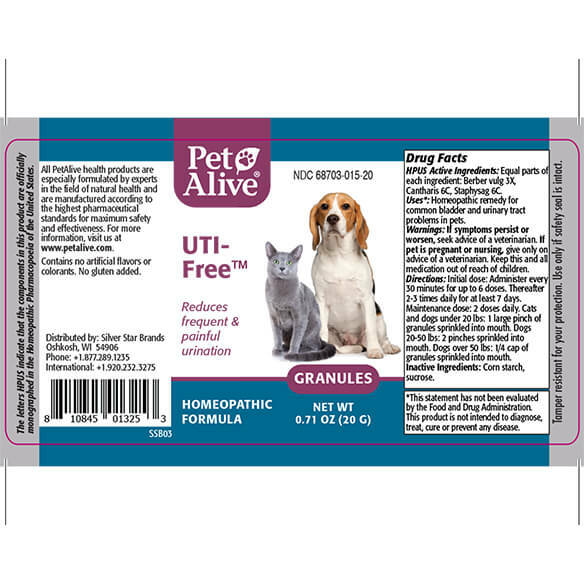 Formulated by our team of experts in natural medicine, UTI-Free™ effectively relieves frequent, painful urination, and minor loss of bladder control in both dogs and cats. A powerful homeopathic formulation for the discomfort associated respiratory upset, UTI-Free™ uses a unique, proprietary blend of highly diluted natural substances to help soothe the bladder and urinary tract. Cantharis has a long history of providing successful relief for pets experiencing intolerable urging to urinate, passing urine one drop at a time and discomfort while urinating. However, our team of herbalists, naturopaths, homeopaths and responsible pharmacists know that one ingredient does not provide a full solution. Therefore, we have created a unique blend of three scientifically selected ingredients that enable UTI-Free™ to provide a natural, effective and safe choice for optimal urinary and bladder health. UTI-Free™ should be administered at the first signs of strong-smelling, cloudy, pink or brown urine, or when you notice your pet is straining to urinate or passing only small amounts of urine at a time. All PetAlive homeopathic products and biochemic tissue salts are manufactured in a FDA-registered and cGMP-compliant pharmaceutical facility under the supervision of qualified homeopaths and responsible pharmacists. Individual ingredients are listed in the Homeopathic Pharmacopoeia of the United States (HPUS). UTI-Free™ is 100% homeopathic, contains these ingredients, and has the following indications (purposes): Berberis vulg 3X HPUS, Cantharis 6C HPUS, Staphysagris 6C HPUS. 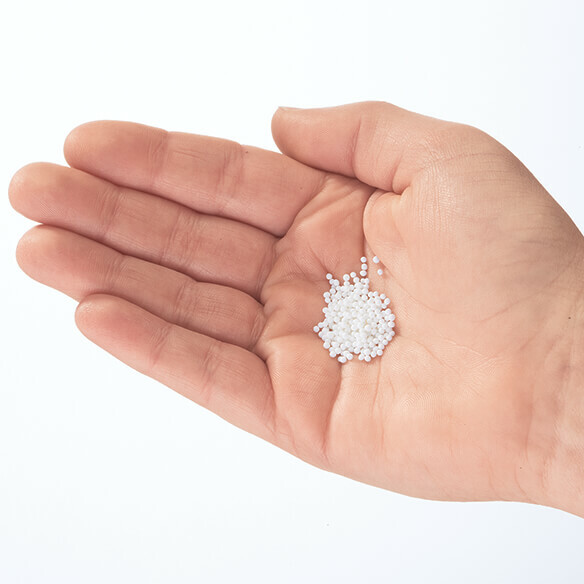 UTI-Free comes in convenient dissolvable granule form. The tiny granules are easy to administer to pets of all sizes and personalities with no fuss or bother! Granules may be sprinkled directly into the mouth or as an alternative mixed with a small amount of wet food. UTI-Free is also safe for small pets. First dose: On the first day, administer every 30 min for up to 6 doses. For the next 7 days, administer 2-3 times daily. Daily dose: Administer 2 doses daily. It is recommended that UTI-Free be used concurrently with Immunity & Liver Support. UTI-Free is a homeopathic remedy and is safe for all ages. There are no known drug interactions. 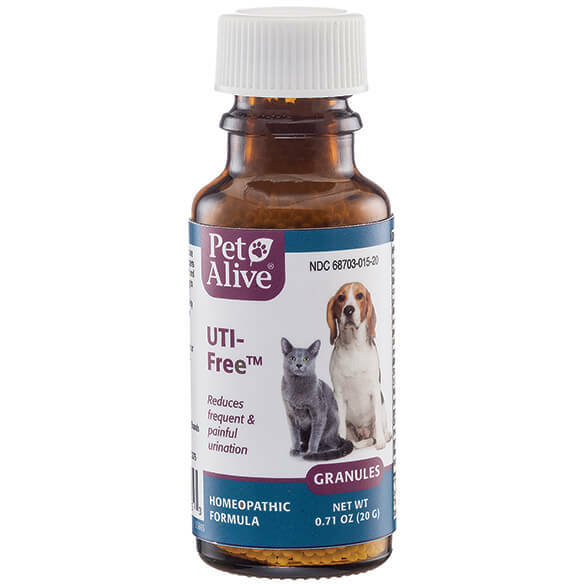 One bottle of UTI-Free will last 15-30 days depending on usage and size of your pet. Caution: Please consult your vet should symptoms persist. Natural remedies strive to create holistic balance in the body to support systemic health. The natural ingredients in our remedies support overall health and functioning. It doesn't work !!! I had to use a whole bottle and it didn't do anything . Now i have nothing to return for a refund .